it is the same in all the three fingerboard regions, thus facilitating rapid, comfortable and secure shifting between regions. The main impediment to using this position in extensions, especially in the lower neck region but also in the higher regions, is that the highest finger – especially the 4th finger in neck position – is simply not long enough. Cellists with long fingers – especially the higher fingers – have a great advantage and will be able to use this very practical “violin position” more than cellists with short fingers. We are obliged to use this position if we can’t reach an extension using the “violin posture”. Whereas in the “violin posture” it was the higher fingers which were extended (straight), in the “double-bass posture” we can consider the extension as an extension downwards (backwards) of the first finger, which is now straighter, or even completely straight. In this posture, the hand is flatter, with the back of the wrist not sloping backwards but rather more square to the fingerboard, or even maybe sloping forwards (upwards) towards the higher fingers which are “curled” (rounded, not straight). The wrist-joint is often raised up in relation to the fingers and forearm, especially for small-handed cellists. To make the stretch even bigger or to reduce the tension in the hand, we may release the thumb from its contact with the neck. Doing this is a little like standing on only one leg to be able to reach a little higher. In this posture it is as though we were reaching “up and over” to the top finger (whereas in the violin posture we were reaching up to the top note from “underneath”). Using this “double-bass” posture we can reach further than with the “violin” posture however this greater reach comes at a price. The price is that this is a less stable and less comfortable posture than the “violin posture”, especially with respect to the extended-back first finger, which is fundamentally unstable when it is under tension (for small hands). Vibrating on, and shifting from and to, this stiff, straight, rigid, extended-back first finger is difficult for the small-handed cellist and is often a cause of bad sound and insecure intonation. For large-handed cellists however, the extended-back first finger is less strained and rigid than for a smaller hand, and the finger can even maintain some of its healthy curve. This posture was favoured by both Andé Navarra and Paul Tortelier. In Thumb Position, this posture is not practical unless we have a very long thumb or unless we release the thumb from its position on the fingerboard. 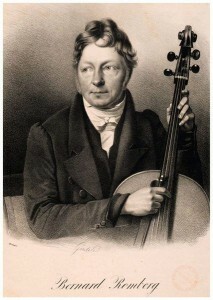 In “fourth” position on the A string this hand posture is not practical either, because the pinky (little finger) side of the hand collides with the edge of the top of the cello. Therefore we need to use the violin position in these registers. Changing between these two hand postures is awkward and constitutes a source of difficulty, tension and intonation problems. Normally, these posture changes will occur during a shift, which adds considerable insecurity to the shift. In slower music we have time to adjust to our different hand posture after arriving at the new note (or even during the shift), however in rapid playing we need to try to have as much stability and consistency in hand posture as possible. Popper solved this problem by having his left hand as much as possible in the “Violin Posture” in all regions of the cello fingerboard, whereas Tortelier solved it by being as much as possible in the “Bass Posture”.